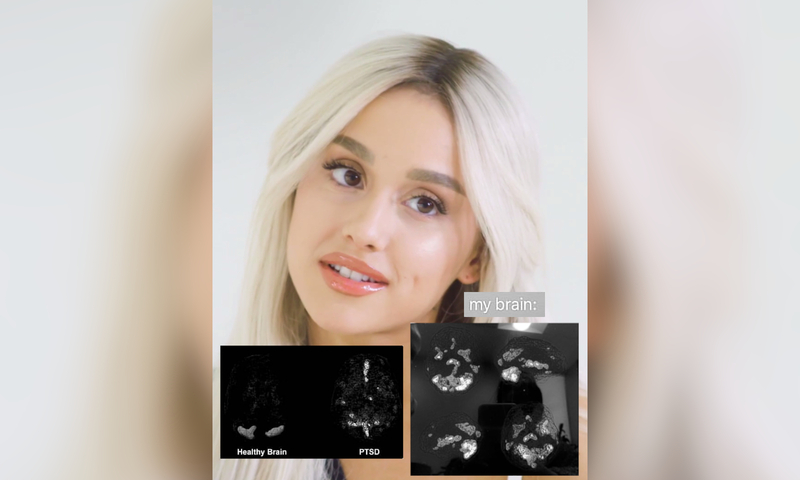 Ariana Grande has revealed her brain scan results on social media. 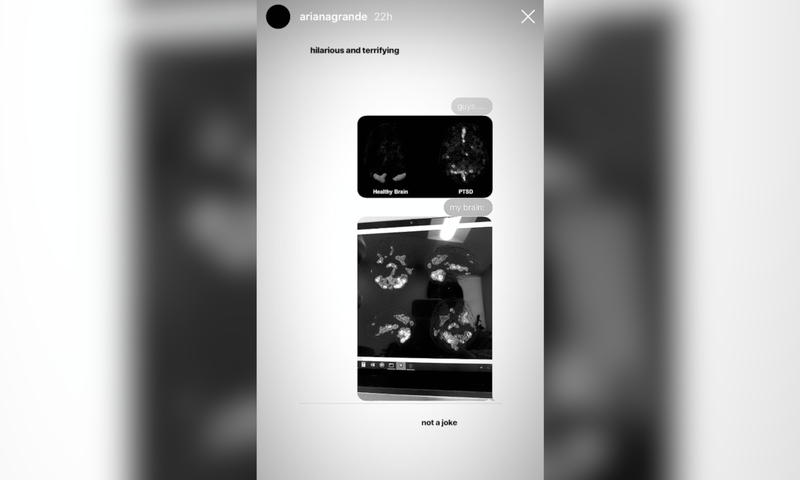 In a post on her Instagram Story that she captioned “hilarious and terrifying … not a joke”, it shows her brain activity is extremely high in comparison to a “healthy brain”. Sadly, the results reveal that Ariana suffers from PTSD — Post-traumatic stress disorder, which is an anxiety disorder caused by very stressful, frightening or distressing events and someone experiencing PTSD typically relives the traumatic event(s) through nightmares and flashbacks. Over the last two years, Ariana has been open about her struggles with mental health, and the ongoing battle she faces — something which she deals with through her music and support from family and friends, alongside her fans.